Do you feel very sleepy at 9 pm but want to stay up until 11? Are you in bed at 11, yet can’t fall asleep for another hour? Perhaps you have traveled across several times zones and now, even several days later, you feel sluggish and jet lagged. All of the above are signs that your habits and desires and your biological clock are out of sync. And for most people the clock can’t be forced into sleep mode like an on-off switch. Carefully timed light therapy, that is, exposure to blue, blue-green, or blue-enriched white light either in the evening or in the morning can be a fast and elegant way to set your clock to align with your lifestyle, sleep better, and even overcome serious insomnia. I often alternate between living in a small town for a few weeks and staying in a large bustling city. In the country side, folks are usually in bed by 9 pm; there is little else to do in the evening. Quite quickly, I settle into a routing of having dinner, then watching TV for an hour or so – basically until I feel sleepy, which is usually pretty soon. So by 9 or 10 I am in bed and dozing off. I believe I have always been more of a lark, a morning person who tends to go to bed early and rises early. In fact, as I get older I become even more of an early riser. This doesn’t suit me well when I am in the city though. If I were to go to bed too early, noise would likely prevent me from falling asleep, and from hanging out with friends and drinking a few beers at night. Naturally my beer consumption also goes up when I am around town. While in town, I would much rather go to bed at around 11:30 pm and maybe wake up at 7 or even 8. Being among other people and exposed to lots of light, I usually manage to stay up until 12 am and then go home and fall asleep quickly. Unfortunately, I wake up at 4:30 or 5 am. This would be fine when going to bed and 9 or 10, but with my later bed time I only get about 5 hours of sleep: a perfect recipe for feeling low on energy and sleep deprived. It takes me quite a few days or even weeks to nudge myself into waking up later. 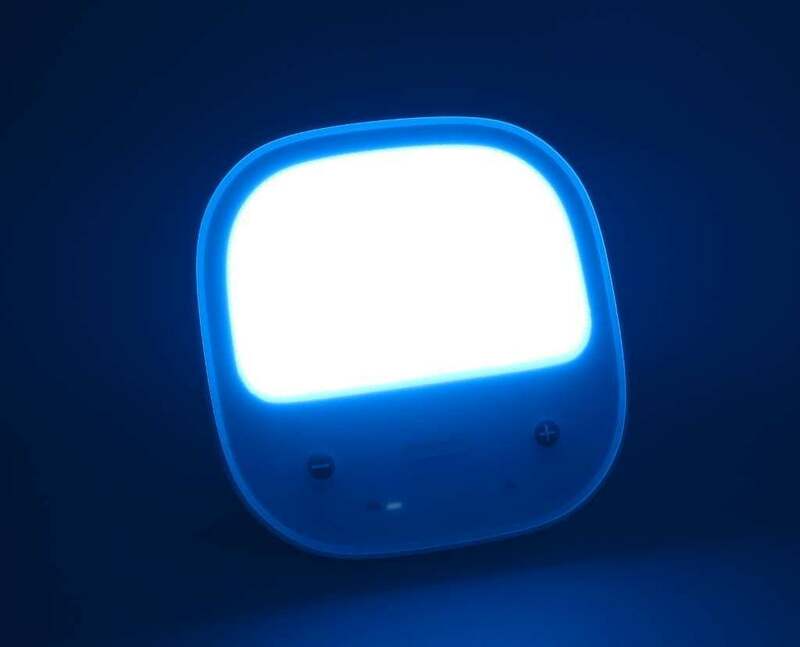 For many years, researchers at the sleep lab of Flinders University in Adelaide, South Australia have been researching the use of bright light therapy and blue-green light to help people optimize their sleep and overcome insomnia. They were initially focusing on people with delayed sleep phase disorder (DSPD), also known as delayed sleep phase syndrome and advanced sleep phase disorder (ASPD), aka advanced sleep phase syndrome. Now they are also applying their research to help frequent travelers overcome jet lag and shift workers adjust to a markedly different sleep-wake schedule. In a way, you could even consider party people as shift workers. 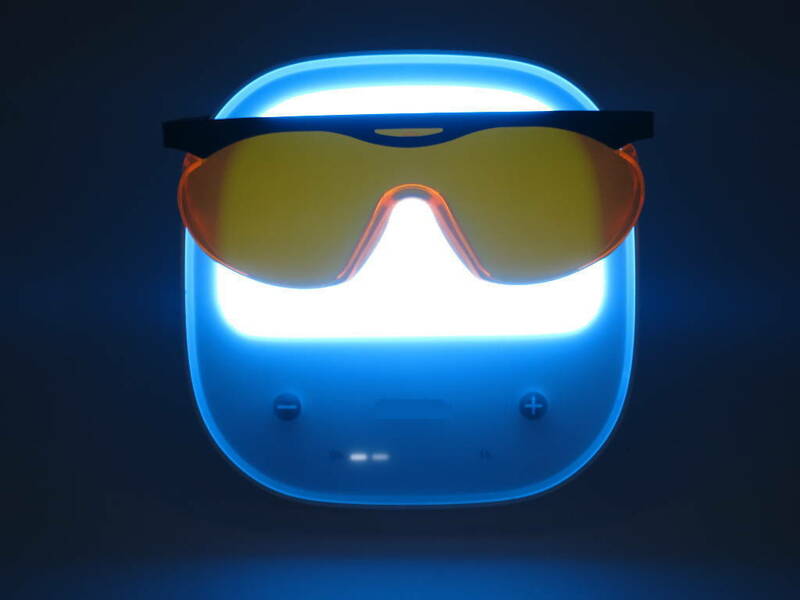 Special blue-blocking glasses, lamps that emit no blue and little green light, and apps that shift the color temperature of our smartphones and iPads have been designed to remove potentially sleep-disrupting light. But how do these blue blocking glasses and lamps help with sleep? And how do they need to be designed and used to actually work? A couple of years ago, I was often riding the subway home late in the evening, coming either from work or a night on the town. For the first couple of minutes, I usually felt very sleepy and was ready to go to bed. At the end of my ride though, I was completely alert. At some point, I started wondering whether the bright light in the subway car might be responsible for my alertness at the end of the ride. I had previously heard of morning bright light therapy to wake people up and treat bad winter moods, and the subway car seemed to be doing just that. The problem: we were in the middle of the night! Looking further into the alerting effects, I came across a whole line of research that had identified the blue light portion of white light as the most potent wake-up signal. In 2001, researchers identified novel photosensitive cells at the back of our eyes, and these cells were most responsive to blue light. What’s more, they are directly connected to our biological clock. It has been found that light exposure to these cells resets our internal clock, suppresses melatonin, and keeps the clock in sync with our 24-hour day. Likely unaware of these findings, from 2005 on governments were starting to pressure manufacturers and households to get rid of incandescent light bulbs and replace them with more energy-efficient compact fluorescent lamps and later white LEDs. As it turns out, most of these lamps contain a lot more blue light than the old bulbs, and they have also been found to be a lot more effective at suppressing melatonin, the primary hormone that signals darkness to the cells in our body. The same goes for modern LED-powered devices including smartphones, tablets, and PCs. 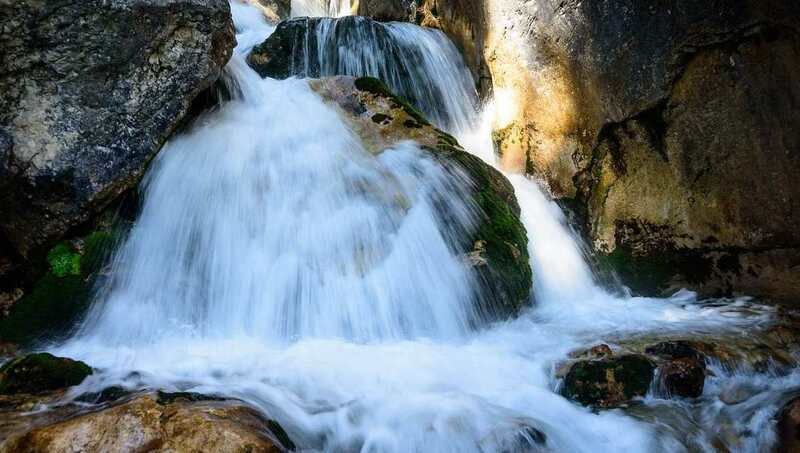 In this post, we will look at the most suitable white noise machine for sleeping, and how to use it for maximum effect and fewest side effects. I have also summarized research findings regarding white noise and sleep. Many years ago, I stumbled across my first sleep-aid sound conditioner by chance. At that time, my bedroom window was facing a small, but pretty noisy street. During winter, I used a small ceramic heater that had a fan to distribute the warm air. As it got warmer in spring, I was ready to put the heater back in storage. I noticed, however, that it was a lot easier to fall asleep with the little heater running, so I even put up with a slightly overheated room just to get my fan noise. Later I used a normal room fan. It wasn’t loud enough for me though. A friend had the solution: I punched a few holes in a plastic bag and covered the fan with the bag. Voila – I had a loud white noise machine. I am aware that this isn’t a safe way of doing things: So don’t try this at home. Don’t cover your fan with a plastic bag.